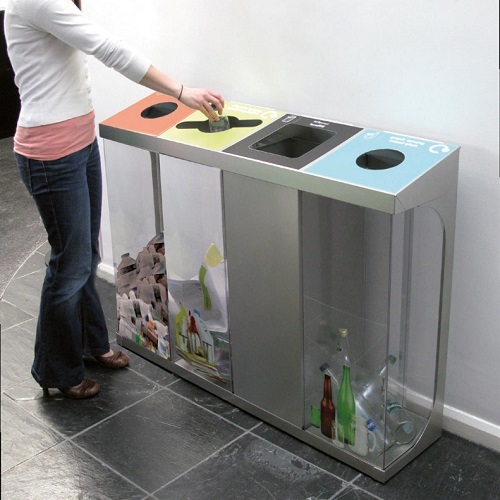 The C-Bin Quad recycling bin is a recycling unit designed for use internally and it is available with either a 240 or 320 litre capacity. The bin features a hinged lift up lid with twin removable bodies that can be lifted out for emptying or cleaning. 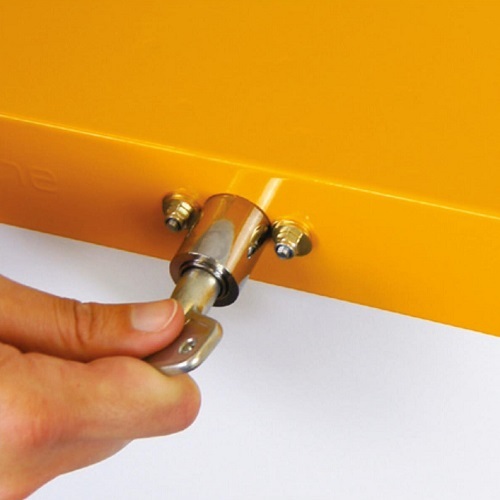 For added security in high security areas, a push lock can be fitted to each lid. The C-Bin and lid are manufactured from 1.2mm thick galvanised steel making them extremely robust, durable and corrosion resistant. As standard the C-Bin’s frame is powder coated in silver with the body available in the same colour, with a transparent polycarbonate plastic body or a combination of the two. Both body finishes feature high corrosion and abrasion resistance and they are also fire retardant. A wide choice of fascia options is available for the C-Bin. The facia clearly indicates what is being recycled in the bin and features waste stream specific apertures. Please note the General Waste and Food Waste fascia’s are only available with a silver powder coated body. Please type your fascia choices in the text box above. 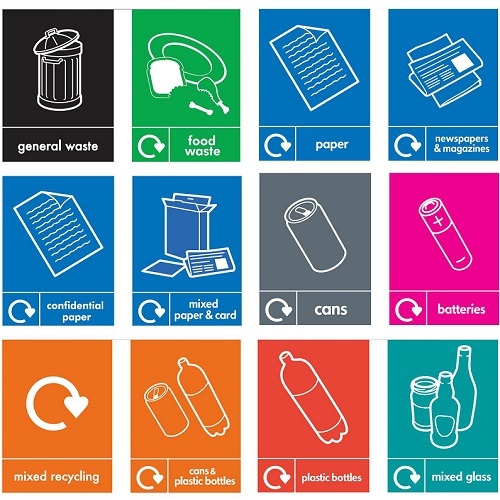 We also offer a full range of waste recycling artwork to match your fascia choices. The artwork is applied to the front of the bin and clearly indicates which waste stream is being collected. 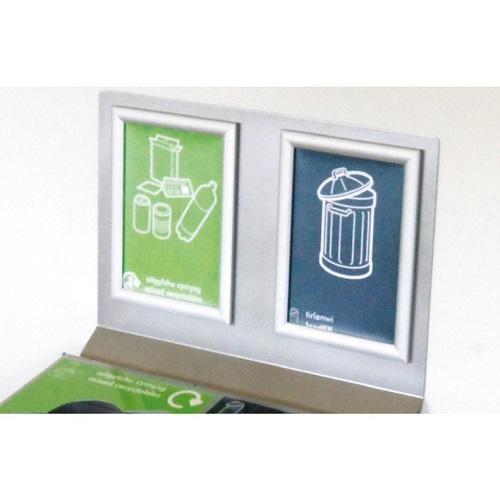 A message board can also be added to the C-Bin and this can be used to display vinyl stickers, magnetic labels or even optional poster frames to display your artwork.